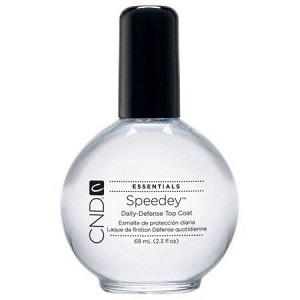 Creative Nail Design Speedey Quick Dry Top Coat, 2.3 fl. oz. Fast drying top coat with UV absorbers. Dries nails quickly.